Located Northwest of DC’s downtown core, the village of Friendship Heights is an upscale neighborhood that’s filled with people of all ages. Many are long-time residents who prefer living in DC than moving to the Maryland or Virginia suburbs. Primarily known to DC residents as a shopping destination, the area has its share of single family homes, but condominiums are plentiful. Friendship Heights is extremely appealing to young couples, who often move here from Dupont Circle once they start a family. 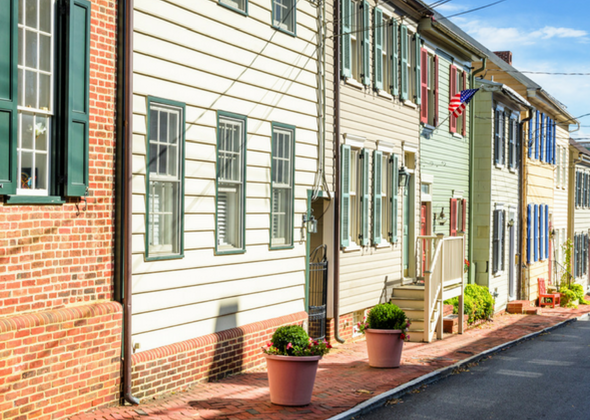 They like its walkability and its attractive mix of architectural styles including row houses, Colonials, and farmhouse-style homes. There’s truly something for everyone. Though it shares its Wisconsin Avenue border with Chevy Chase MD, Friendship Heights has a history all its own. The village’s origins were humble. Its name comes from a 3,000-acre land grant that was made to colonists in 1713. Throughout the 19th century the land was farmed by a Quaker family from Philadelphia. By 1900, Georgetown’s trolley tracks were extended to the village’s southern border and local businessmen decided the time was right to build homes for commuters. Friendship Heights’ official boundaries remain unchanged since 1914, but in reality, the neighborhood’s is roughly bordered by Western Avenue to the north, 41st Street NW and Fort Reno to the east, Chesapeake Street to the south, and River Road to the southwest. Early homesteads were more farm-like, a real contrast to the shopping mecca the village has become today. Properties in Friendship Heights range from one-bedroom, one-bath condominiums to three-bedroom rowhouses and three-bedroom condominiums that sell for over $2 million. A short walk from the Metro Red Line, the village boasts three schools, but without a doubt it is best known for its retail ecosystem, particularly up and down Wisconsin Avenue. Over the past 20 years, swanky department stores and discount retailers have replaced the mom and pop stores that used to line the street. Once you’re off the main drag, though, you’ll find a walkable suburb many people love to call home. Do you lean towards farmhouse style, or Colonial charm? Maybe you prefer the benefits of condominium living. Whatever style appeals to you, before you get started on designing your new kitchen, ask yourself these questions. The answers will help you get the kitchen you’re dreaming of. Envision lots and lots of storage space? 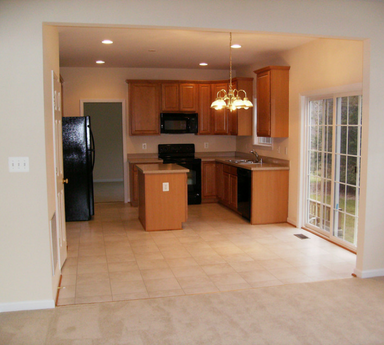 Want to expand the existing floor plan and create a seamless flow from room to room? Swap out cabinets, countertops, flooring, and appliances that are from multiple eras? Long to make meal prep easier? At Winthorpe Design & Build, our kitchen remodeling process makes it simpler than you’ve ever imagined getting the kitchen you’ve always dreamed of. We’ll show you all the latest options available for your Friendship Heights home and help you make selections that complement the way you live today. Not surprisingly, many of our clients view their kitchen as the real center of their family’s life. Kitchens are usually the most frequently used room in the home, a welcoming space where everyone comes together for family meals, holiday gatherings, and catching up over a cup of coffee or glass of wine. The kids often do their homework or hang out with friends there. 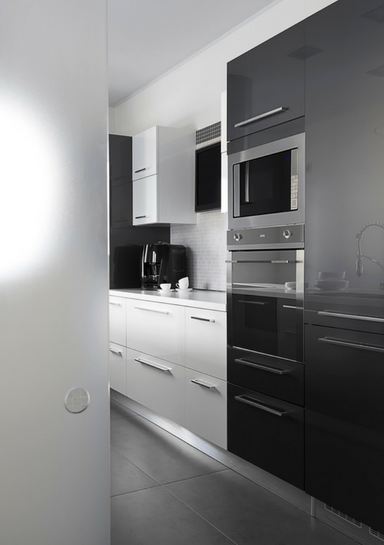 We’ll help you design a new kitchen that not only looks great but also enhances the function and flow of the room. Kitchens have certainly evolved over the years. Today, spacious rooms that open into adjoining spaces are preferred by families that love entertaining and keeping loved ones close while meals are prepared. The design choices for your new kitchen are seemingly endless: ample storage space, custom appliance cabinets, innovative lighting design, and restaurant quality appliances are just some of the possibilities. Our talented design team will show you options you may never have thought possible, and together we’ll design a kitchen that meets all your family’s needs. 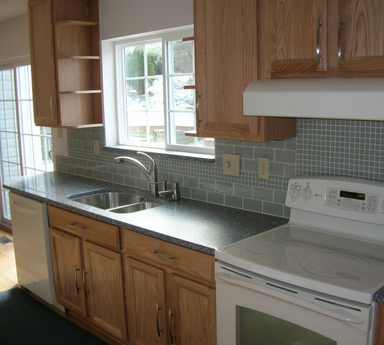 Experience has taught us that a kitchen remodel is the home renovation that brings our clients the most satisfaction. And while it does tend to add value to your home, it’s a valuable investment even if you’re not thinking of selling. In fact, a major kitchen remodel is a decision often reached after homeowners realize they want to stay in the neighborhood they love rather than find another place to live. From small kitchen remodels to upscale additions, our design team helps you explore the many ins and outs of materials and product selections. We’ll show you design ideas that make smaller kitchens appear spacious and ones that show how opening up the existing space can transform an older home. Most importantly, we’ll help you design a remodel that suits your family’s lifestyle, realizes your vision, and stays within your budget. 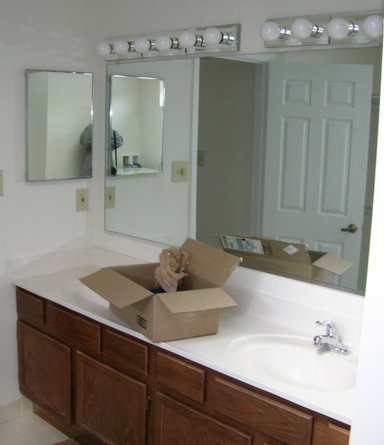 A bathroom remodel is a great way to add value to your home while enhancing your family’s quality of life. Winthorpe Design & Build manages all your bathroom design and remodeling needs. Want to update a powder room? 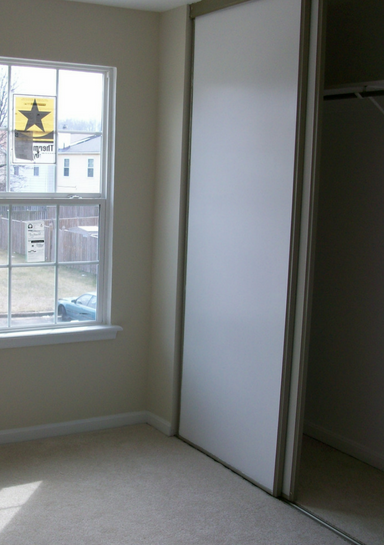 Add on a luxurious master suite? We’re here to make it happen! We help you choose all the design features you need: showers and tubs, vanities, fixtures, tile, and lighting, as well as universal design options. We love showing our clients how to turn their bathroom visions into a beautiful reality. Do you love the idea of waking up to heated floors? Do you dream of escaping to a spa-like retreat? We’ll work with you to design a bathroom that complements your unique style. 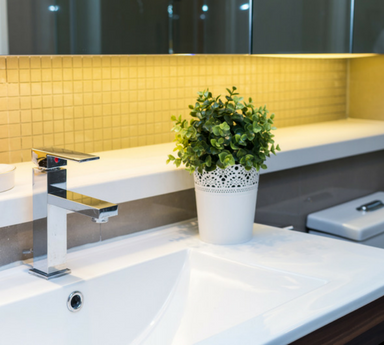 If you’re hoping for a new and improved bathroom that meets your family’s practical needs while offering a relaxing experience, we’re the remodeling firm that will make it happen! 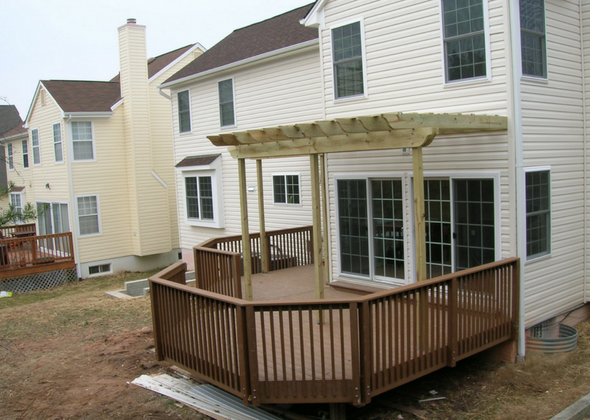 Looking for up-to-the-minute ideas for your new kitchen, bathroom, or home addition? We invite you to contact us to explore the possibilities! We value the reviews we’ve received from happy clients who love the work we’ve done for them. We’re happy to say that the people we meet as remodeling clients become a part of our family, too! 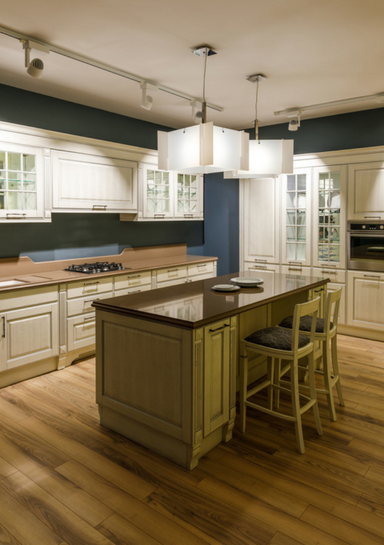 If you’re a homeowner in Cleveland Park or the surrounding Washington DC metro area interested in a kitchen, bathroom, or other home remodeling project, we invite you to give us a call. Together we’ll explore a world of exciting remodeling options that will give you the home you’ve always dreamed of.